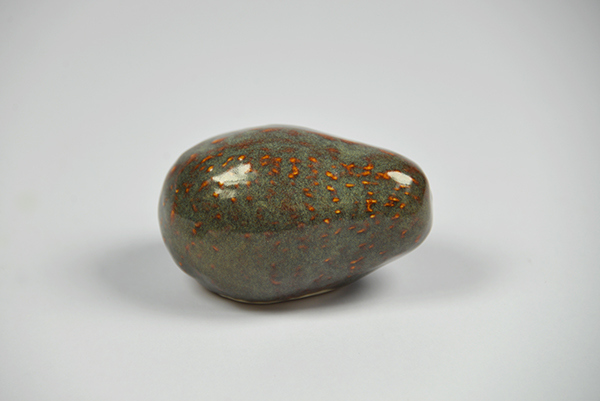 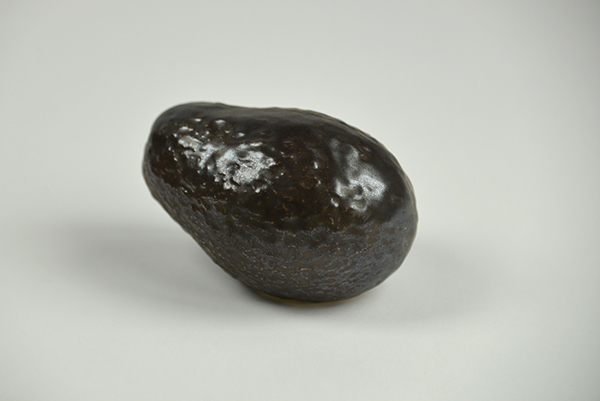 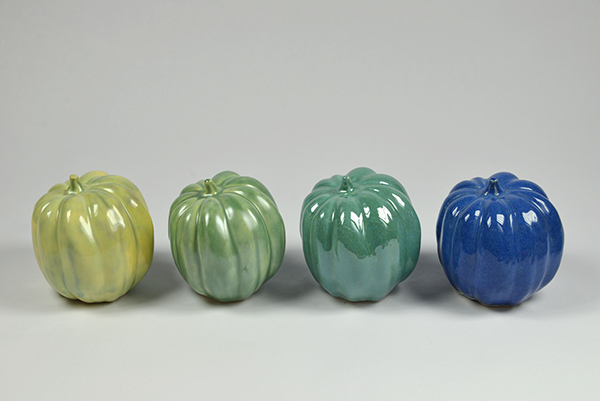 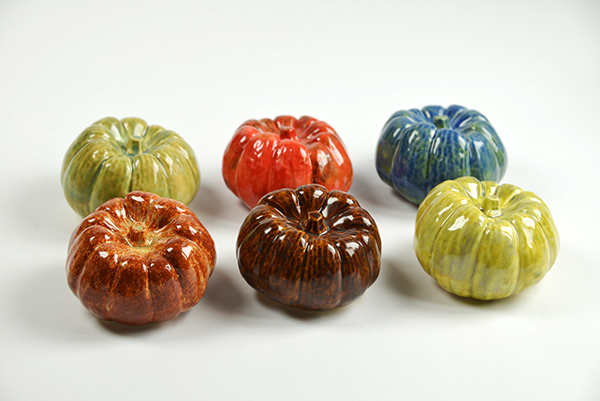 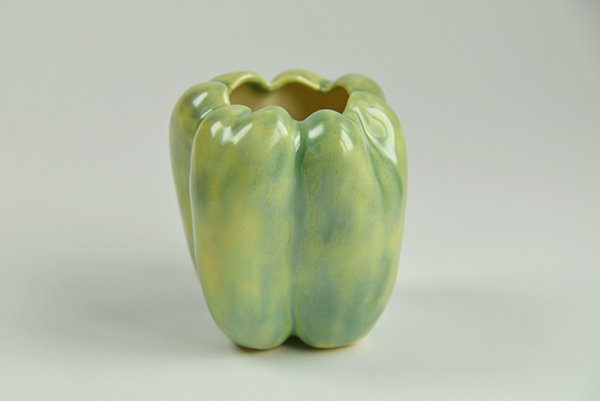 Cast from real vegetables, these ceramic pieces offer a playful addition to a table or desk. 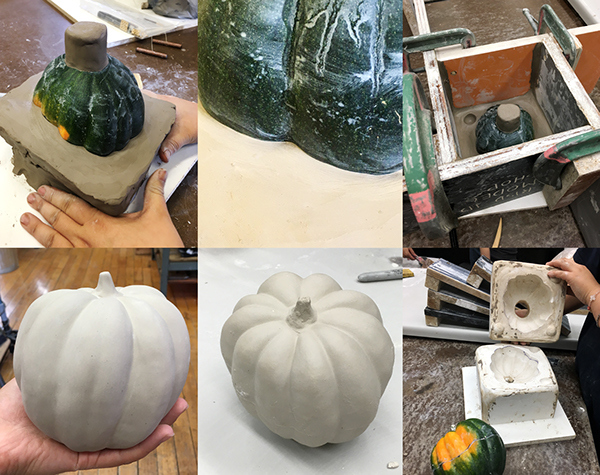 As an introduction to the processes of mold making and slipcasting, we were asked to create plaster molds of vegetables in pairs. 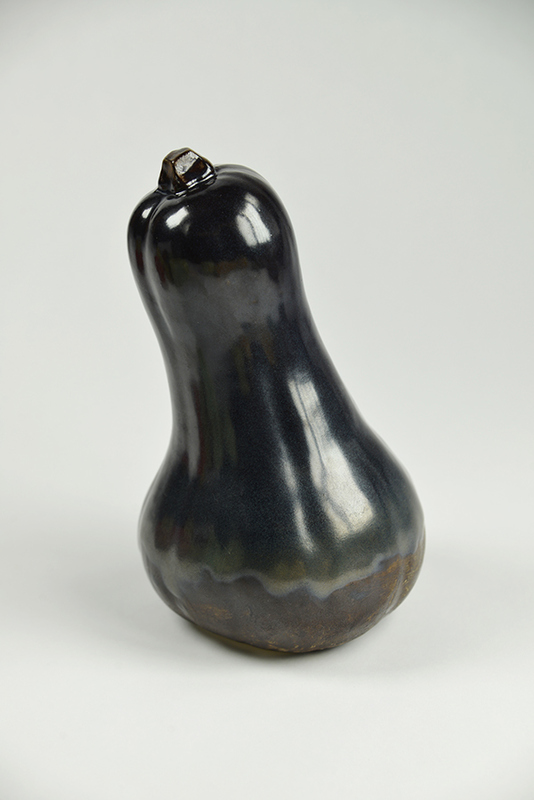 My partner, Sung Wha Kang, and I were assigned a squash. 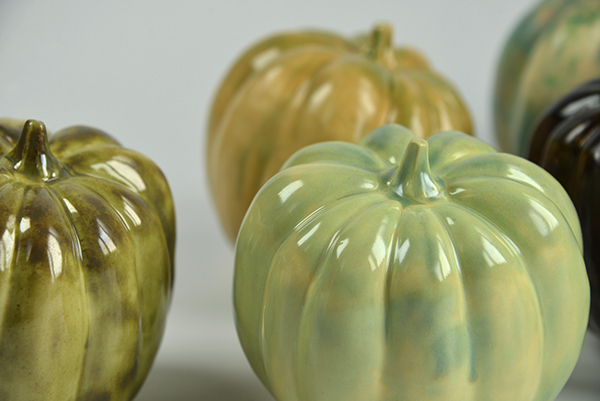 After creating the molds, we individually cast, fired, and glazed our own pieces.